No, that’s not me in the cover image, that is the gorgeous Elizabeth Taylor. I know the resemblance is uncanny (I wish!!!!). I wanted to share my latest article that xoNecole published. It’s about my life as a stay-at-home mother compared to my life in the workforce. We adopted our cat Keke in September of 2014. She also goes by the names Fefe and my friend Ashley dubbed her Queen Keeks, a name she prefers when she is feeling fancy. Keke was left at the local shelter when her owner was placed into hospice. I knew Keke was the one when I heard her crying in her little cage, begging for some love. She stole my heart when she curled up on my lap in the middle of the shelter. I was so happy the day we adopted her and took her home. She has never hissed at us. She has never bitten us. She is a sweetheart with a little bit of sass when she wants her kibbles. She is my book buddy and lap blanket. Leif thinks she is the coolest, and she is incredibly tolerant of his “pets”. Not the most flattering. Don’t tell her I shared this one. I’ve written about my husband and my son, but I have not introduced you to my fur babies. The first animal that my husband and I adopted together was our dog Zeus. He is a rottweiler mutt (my favorite kind of dog). I must admit I am partial to the rottweiler breed. I think they make fantastic family pets. They are kind, loving, and patient with children. Zeus is just about the sweetest dog in the whole world. He is incredibly patient with our son Leif. He has the biggest heart a dog can have, and I love him completely. Below are some of my favorite pictures of Zeus that my husband Miles took. All photos are courtesy of Miles McKee Photography. I was 34 weeks pregnant in this picture! This is the beautiful Methow Valley in Wa state. IMMACULATE by Katelyn Detweiler will grab your curiosity and refuse to let go; it’s a compelling story about a young woman who receives a modern-day miracle and has to live with the consequences. Detweiler wrote a fantastic novel that explores the strength of family, friendship, and faith. Mina finds herself asking her family and closest friends to stretch their understanding and beliefs to the max. 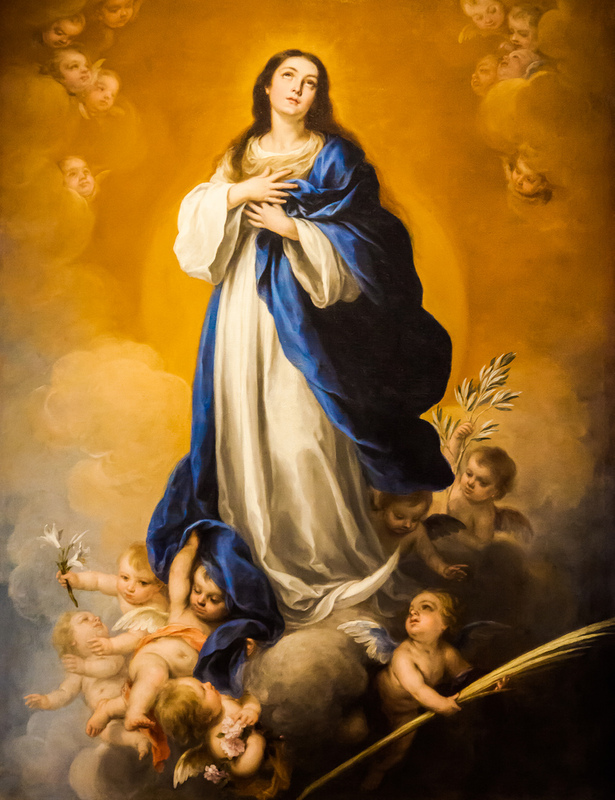 Mina has to overcome an incredible amount of adversity, just like Mary had to centuries before with the immaculate conception of Jesus. The allegory of Detweiler’s modern, miraculous, conception story is a reflection of how corrupt and violent our society can become when a person or event challenges beliefs, ideals, and faith. Allegory is a figure of speech in which abstract ideas and principles are described in terms of characters, figures and events. It can be employed in prose and poetry to tell a story with a purpose of teaching an idea and a principle or explaining an idea or a principle. The objective of its use is to preach some kind of a moral lesson. I just don’t understand the kind of anger—the kind of passion—that drives complete stranger to feel this involved in my life. Who are these people, really? Do they seem normal in every day life? Are they school teachers , nurses, lawyers—people who seem completely rational and stable? And then they come home at night, or take their lunch break, and they go online and they write that I’ll burn in hell? That my baby will burn in hell with me? I just don’t understand where it comes from. The fervor. The idea that it’s their duty, almost to condemn me. Or maybe it’s just sick entertainment for them. We see this cruelty every day in the mass media, against other HUMANS that challenge the norm. Detweiler’s novel encouraged me to be open-minded when a loved one may need my support and blind faith. IMMACULATE served as a reminder to never cast stones at people who challenge my own beliefs. IMMACULATE made me pause and reflect on my actions and reactions both in my personal life and on social media. I hope you gain as much from IMMACULATE as I did. Note: The split image I added to this post is not my original artwork. The image on the left was found here. The image on the right is the book cover for Katelyn Detweiler’s novel IMMACULATE. Yesterday, the fam and I drove to my home-town of Orting, Wa. Growing up in a small town will: nurture you, raise-you-up, disciplined you, comfort you, and suffocate you all at once. For the kids raised in the small town of Orting, Mt. Rainier was our guardian and inspiration. Everyone from there claims it as, “their” mountain. We made the 1.5 hour long trek to visit family and friends and watch the annual daffodil parade. Yesterday was the 83rd daffodil parade to march the streets of Orting. Miles and I were lucky ducks, and Grammy watched Leif and our dog Zeus. We got 3 full hours of grown-up time. We went to a bar and had a beer *gasp*. Latter, we met up with our friends and watched an army of cheerleaders, band members, princesses, horses, goats, clowns, cars, buses, and advertisements march down the main street of Orting. It was sunny, and we had a wonderful view of the greatest spectacle Orting has to offer, “our” mountain. I’m excited to tell you all that I was published again on xoNecole! This is an article about how the women in my life inspired me through my labor, even though they weren’t in the delivery room. Also, how my nurse made all the difference in my labor. My name is Miles and I am Rachel’s husband. Some of my images are featured on illuminated literation, so I thought I would introduce myself and let you know that I will be posting here on occasion to showcase pictures with short descriptions and the techniques involved. Here are some images from Snoqualmie Falls, WA on Easter weekend. It was mid-morning on a bright sunny day and I was battling high contrast. I decided to shoot ISO 100 and RAW format to allow for maximum manipulation of shadows in post-processing. The featured image is a high dynamic range (HDR) image, blending three different exposures to optimize color tones in all areas of shadows and highlights. I normally try to “get it right in camera” but our eyes/brains have such an amazing ability to register a high degree of contrast, that sometimes to capture the scene as I remember it, the HDR technique is necessary. Infandous- Describing something too horrible to mention. Infandous by Elana Arnold is one of the best literary pieces of the YA genre that I have ever read. There are numerous examples of literary devices throughout Infandous, today I am going to focus on one—a foil. Arnold plays with the literary concept of “a foil” between Sephora who is the main character—who argues that she is actually only a supporting character in her life, second to her mother. My Mom, Rebecca Golding, was born in the sea. She was the most beautiful of all the mermaids, her hair shinier, her tail shimmerier, her voice more captivating that any other fish girl’s…..And then a wave came—boiling, insistent, it bore her to the ocean’s surface and threw her far and fast, and she tumbled, head over tail, again and again, until she landed coughing and sputtering and drowning in air on the sandy beach…And she grew up like that, a fish out of water, too beautiful to really pass for one of us. Her hair, even on land, seemed to float as if in water. She moved like liquid gold, crossing her legs, gesturing with long, beautiful fingers, and her mermaid heartbeat in her chest all the while. I didn’t have her beauty—my hair was frizzy with static, tangled and quarrelsome, not ethereal and floaty like hers. My movements weren’t liquid beauty. People didn’t turn to follow me with their eyes, not like they did with her. Clearly we see how Sephora views herself when compared to her mother. There are pages that describe the beauty of Rebecca, but Sephora only allows a few general, unpleasant descriptions of herself. Arnold, in my opinion, used a foil very wisely to help the reader understand the way Sephora views her herself in comparison to her mother. Infandous is bursting with literary themes. I highly recommend reading this book. The imagery, characters, and twists will haunt you.